Surviving cancer and cancer treatment are major accomplishments. The next step for many is get fit for long-term he alth. In addition to cardio and flexibility training, a beginning strength training program, like the workout imprinted ON the band2FIT for Cancer Recovery, will help you regain muscle and strength. Getting back to a STRONG and HEALTHY body. Many people lose muscle yet gain fat, through cancer treatment. Designed specifically for the cancer survivor, resistance training with band2FIT for cancer recovery can help regain muscle as well as bone strength. 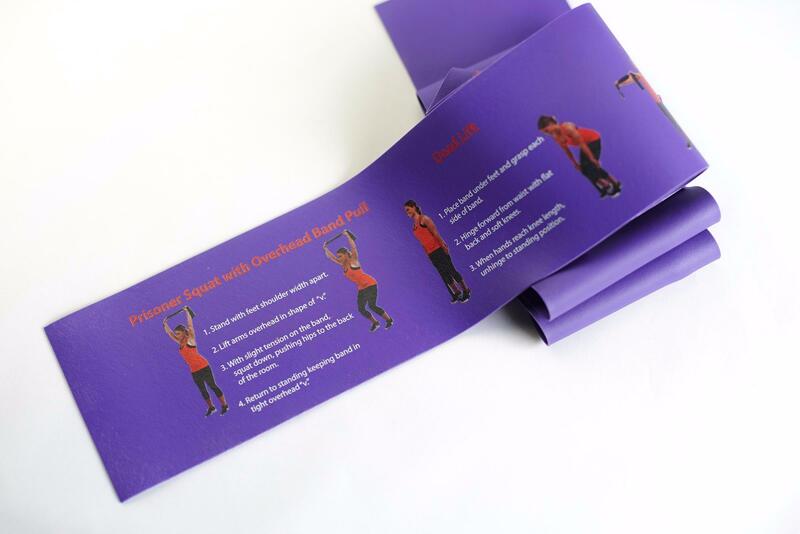 The workout is imprinted ON the band and includes exercises for overall functional strength, core strength,balance, and neuropathy of the feet. Begin with the first exercise on the left of the band and work through the circuit to the right side. Start with one circuit and, over time, work your way up to three, performing the routine 2-3 times each week on non-consecutive days.